The JET series is a range of suction devices created for the hardest situation. They will work in any condition, thanks to the development made by the R&D of Spencer Laboratories which focus on the weight and the resistance of the suction unit, without ever forgetting versatility and functionality. 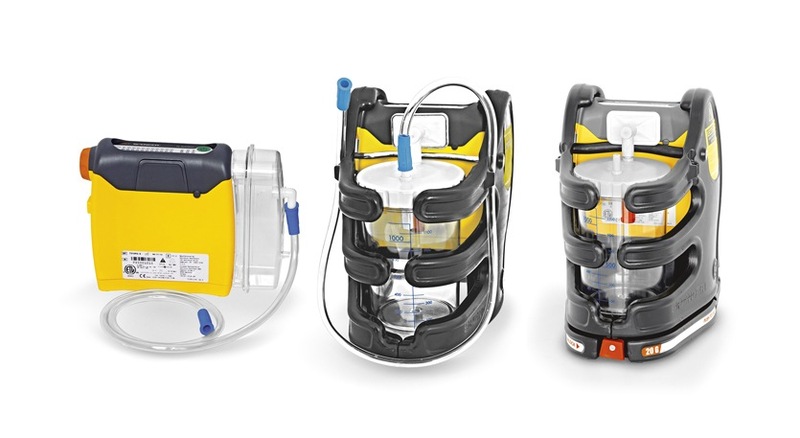 A suction unit is a device of primary importance in the pre-hospital setting. It can remove liquids, fluids and vomit by suctioning it from the patient. Professionals also use it to remove mucus, serum or blood from a body cavity, such as an airway. The JET series is a range of suction devices, created by Spencer, which combines light weight and high resilience with versatility and increased functionality. Spencer JET is the first device without a cable connecting the canister and the vacuum unit: there is a removable filter that reduces the number of components, improving the suctioning power and reducing maintenance costs. JET Compact is the smallest and lightest suction device on the market. The Spencer AMBUJET, features innovative integral protection, which protects both the suction unit and canister and is tested for accidental falls to a height of 6m. The cutting-edge Spencer AMBUJET suctioning machine is a 20G certified medical device for ambulances, featuring an extremely sturdy wall mounting system and auto-rechargeable system. Jet is the first electrical suction machine to obtain the 20G UNI EN-1789 Crash Test certificate, underlining Spencer’s attention to detail and the high technological value of the product.